If someone wanted to make an argument for having me committed to an insane asylum, they wouldn’t have to look much farther than this toy purchase. 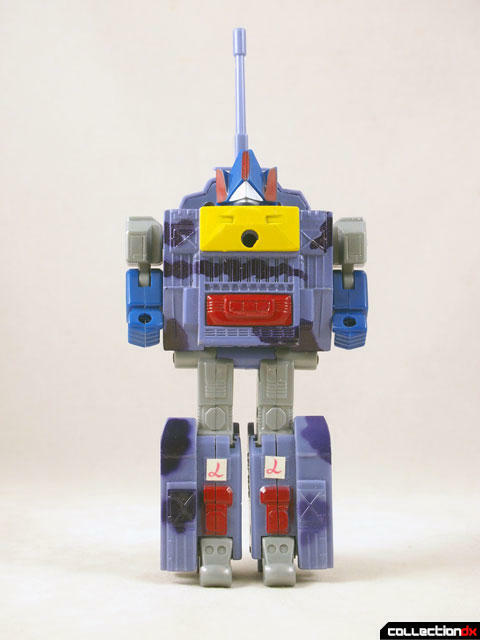 I spotted this atrocity on ebay a few months ago and shared the link with Andrew, thinking there was no way I was going to plunk down the cash the seller wanted. But lo and behold, one best offer email later and the item was shipping from Greece to my front door. 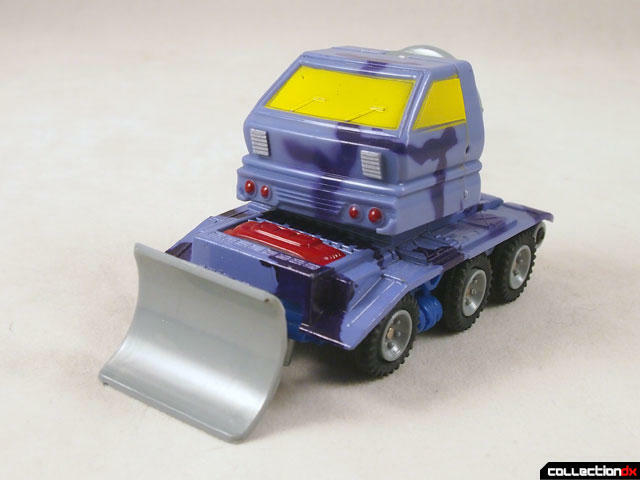 On the surface, it’s a remold of the Super Gobot Defendor tank with an Albegas head stuck on for good measure. But there is so much more to it going on here. You would think that would be weird enough, but there is more. First, there’s the fact that this comes from Greece. 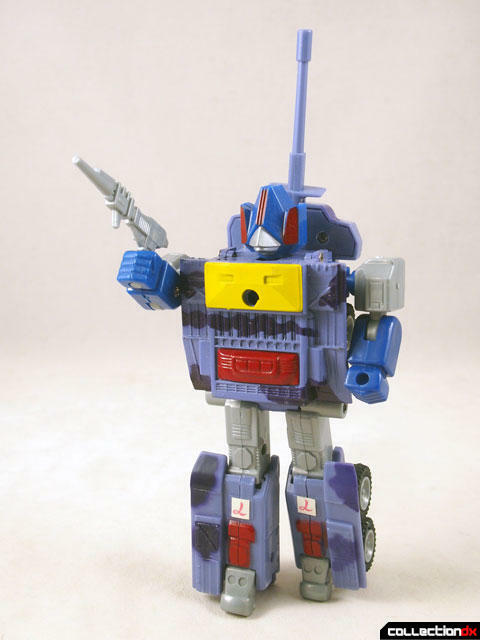 A lot of bootleg toys made their way to Greece, and it’s a largely untapped market for those looking for the really obscure. It’s made in Taiwan like most good bootlegs are. 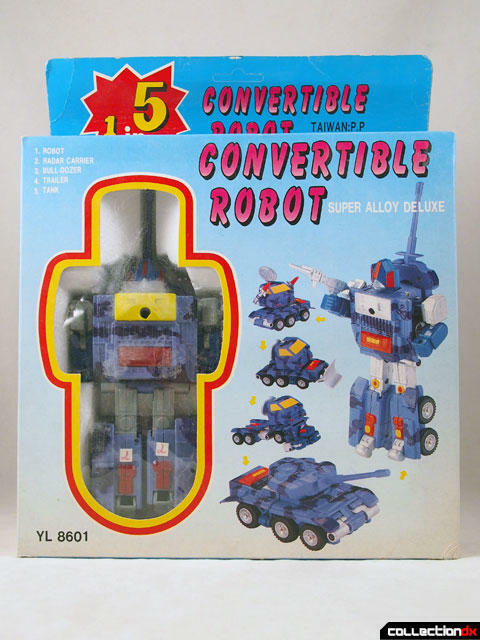 The toy’s proper name is 1 in 5 Convertible Robot. 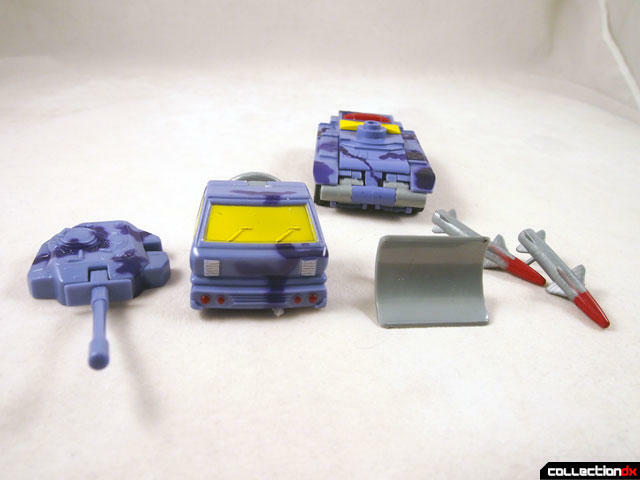 of course, Defendor has only 2 modes, so where do the other three come into play? 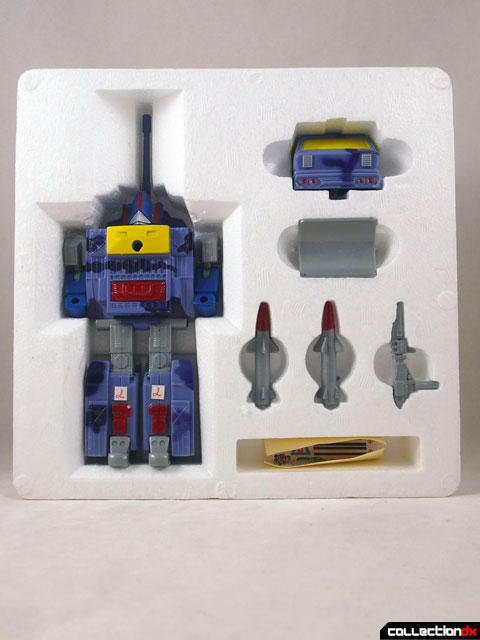 Also, the package proudly announces “Super Alloy Deluxe” and it is not lying. 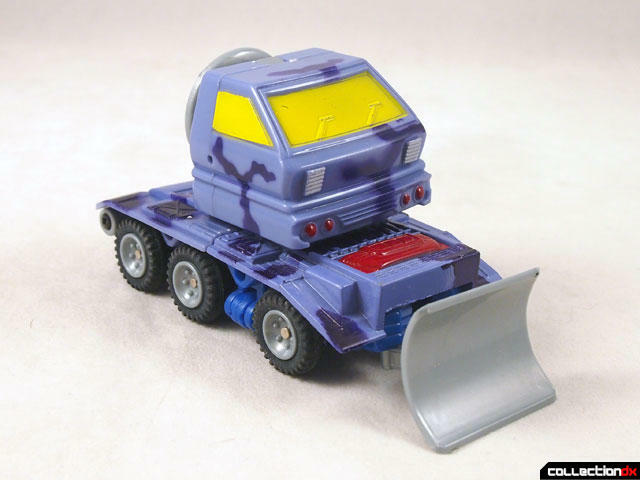 There is metal in this here toy. 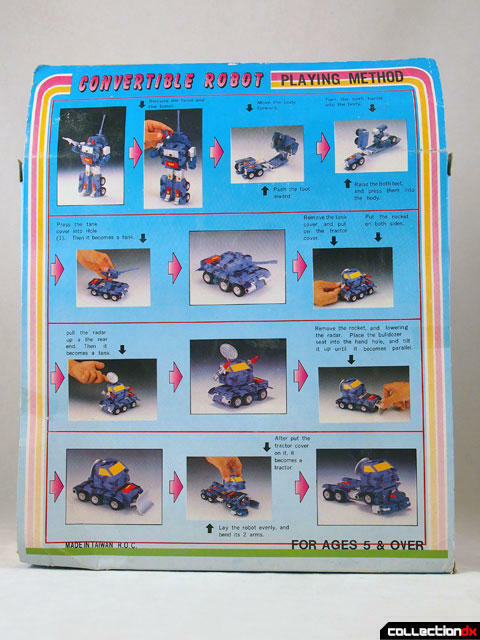 Inside the toy comes packed in a nice tray. 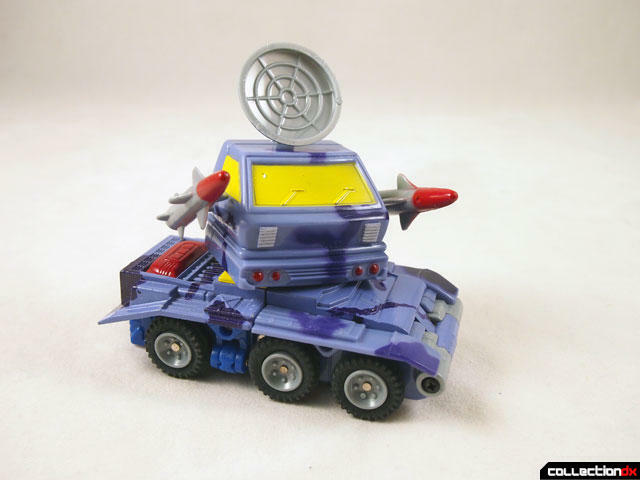 Despite being a bootleg, the creators gave this the deluxe treatment. A sticker sheet is included but unnecessary. 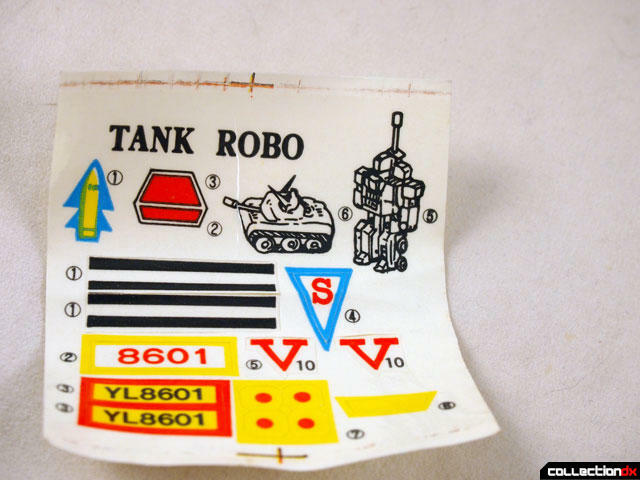 The stickers say “Tank Robo” so I bet there is another version of this bootleg out there with that name. 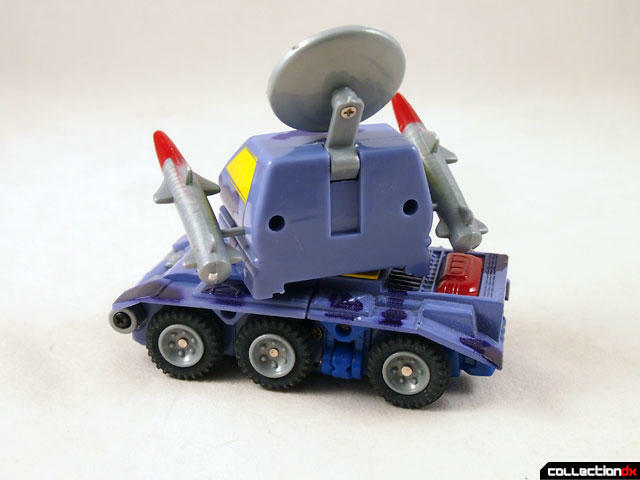 I mentioned the Super Go Bot Defendor - at first glance this is just a remold. But look closer. 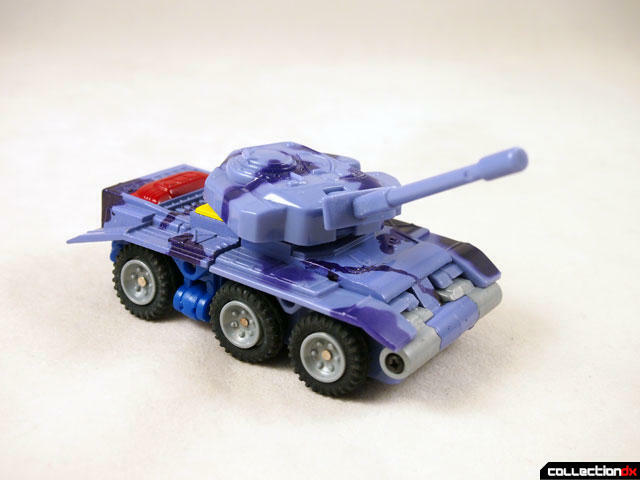 It’s not only larger, but despite sharing a similar transformation, it’s an entirely different toy. 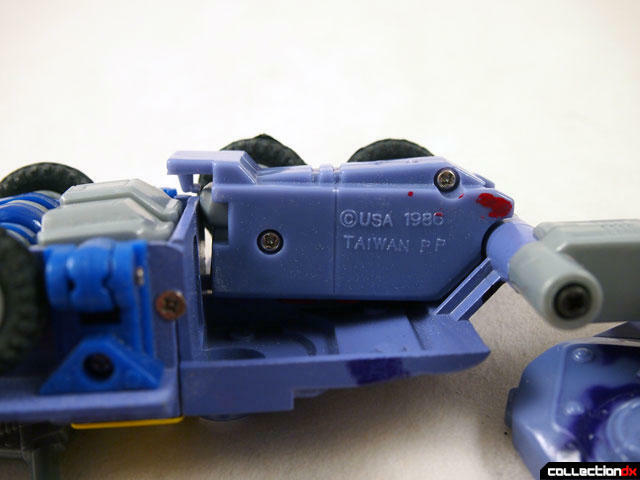 Details on the mold are completely different. So much so that there’s actually © USA 1986 stamped on the inside leg. 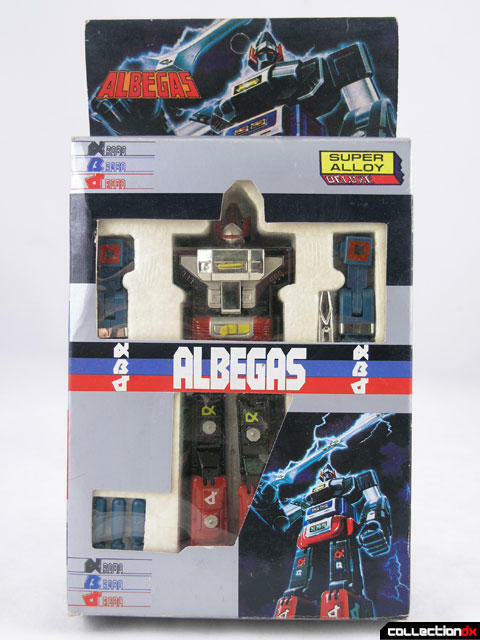 Along with the head from Albegas, the chest features similar panels and lower arms to the 1983 Victora Albegas toy, which was also frequently bootlegged. Did they come from the same factory? It seems very likely. 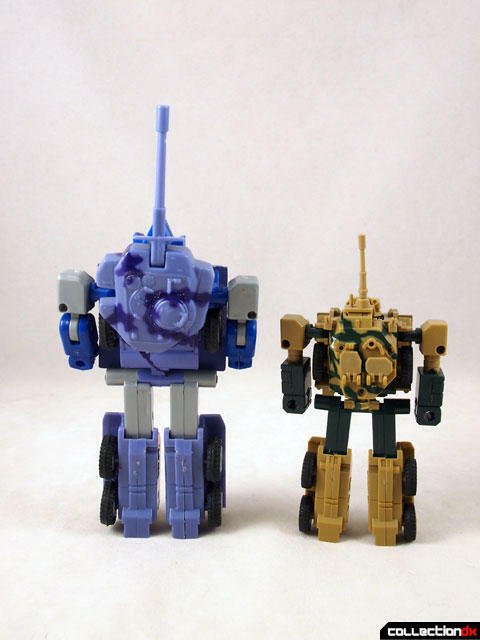 Both have “Super Alloy Deluxe” on the package. 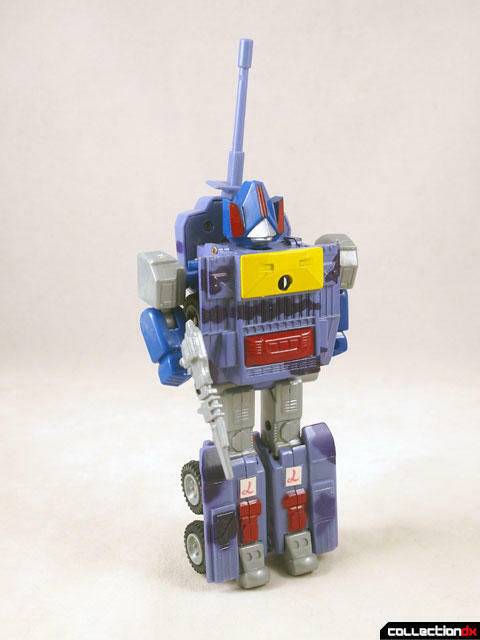 In robot mode, the toy is nice and sturdy with decent articulation. The metal adds to the feeling of quality. 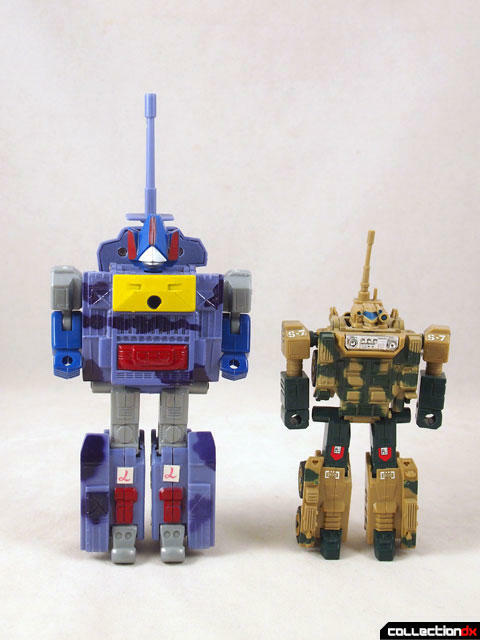 Transformation is similar but different to the original. 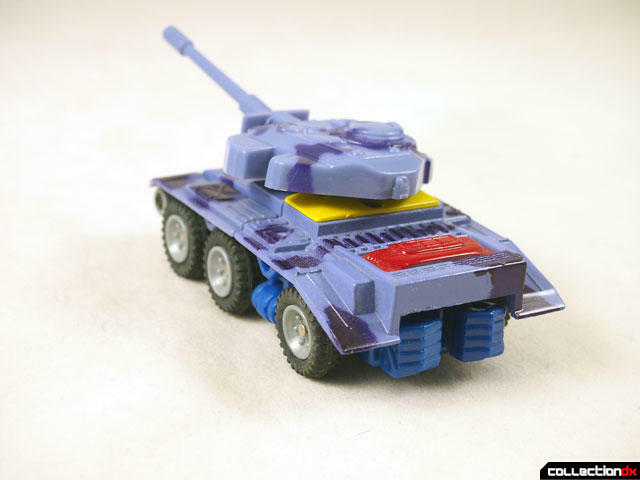 In this case you have to remove the head and turret, otherwise it’s the same. Even the small hooks in the back of the legs are present, and they still look very breakable. 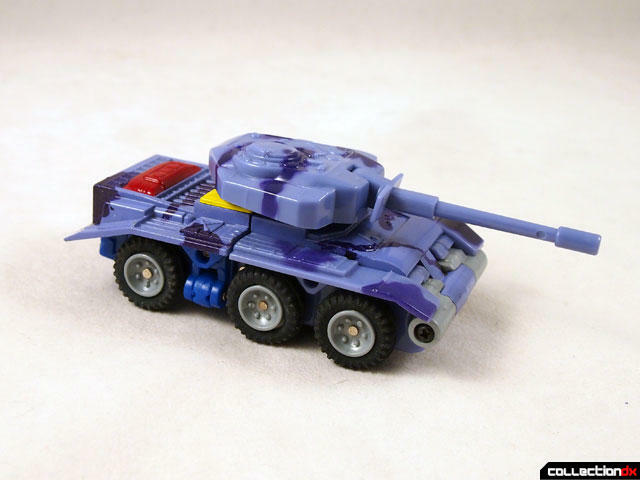 The tank mode is great. 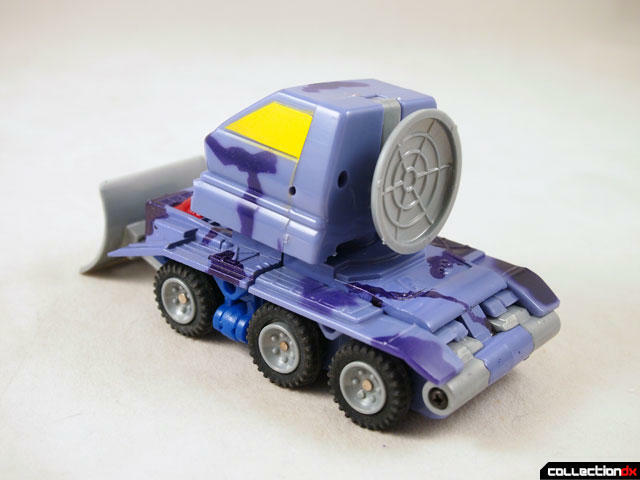 Real rubber tires and rotating and tilting turret make this an effective toy. The thing holds together like a brick. Of course, we still have three modes to go. That’s where these other parts come in. 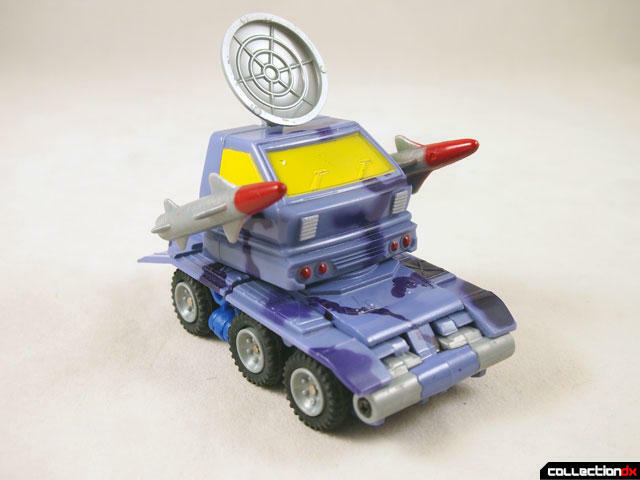 Remove the turret and replace it with the front end of a japanese minivan with fold out radar dish and missiles and you get this. 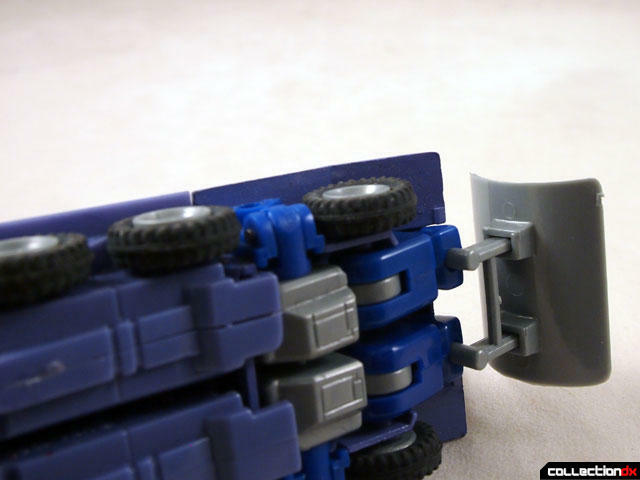 Move the position of the cab to another hole and turn it around, and then attach the handles of the bulldozer to the holes in the hands of the underside. 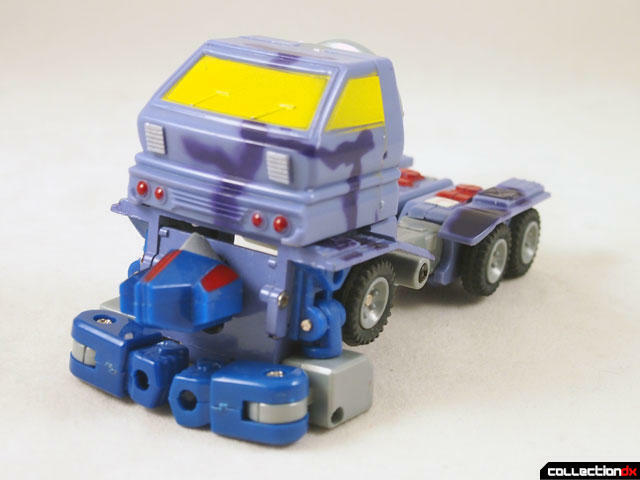 Trailer mode looks like a factory worker was going to lose a bet that they couldn't come up with 5 modes for this thing. 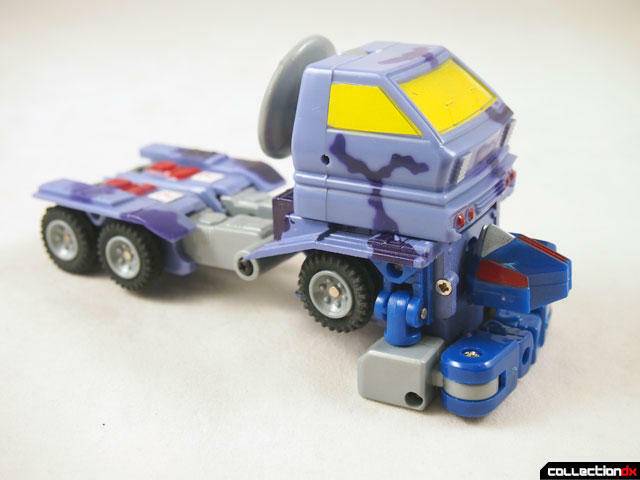 It’s basically a half transformation where the front wheels don't even touch the ground. 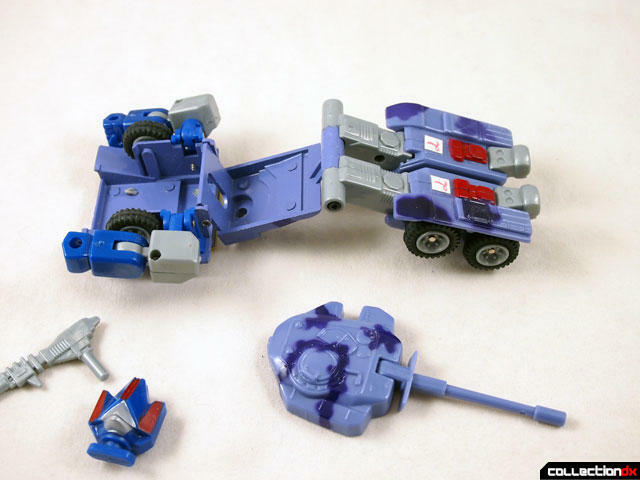 If you really wanted to get nuts you can add all the parts to robot mode to make an unofficial 6th mode that defies naming. 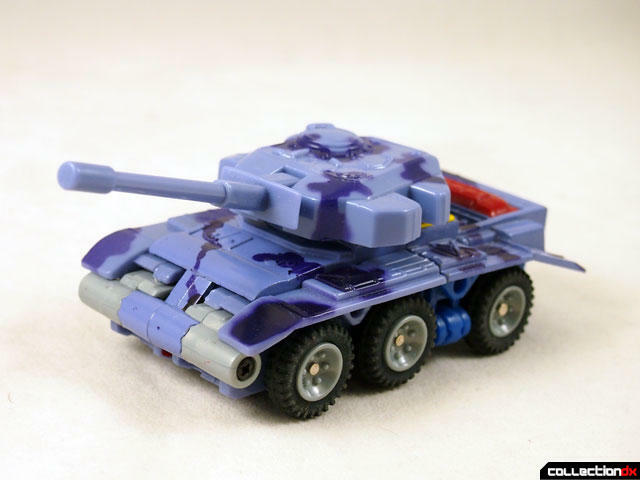 Despite its wackiness, it’s actually a fun, solid playable toy. 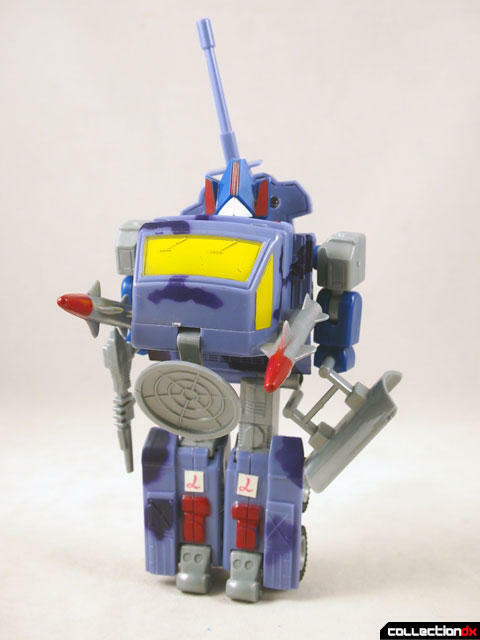 I'm kinda glad I don't watch too many auctions of weird bootlegs because I probably would become just like you. this is amazing. the colors, the "Radar Carrier" mode, the SUPER ALLOY DELUXE logo. The KING OF BOOTS is here to stay!! !